The wait is over! 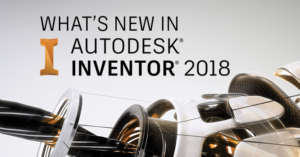 Autodesk Inventor 2018 is now available to download and here’s your first look at what’s new. This year, Product Managers at Autodesk have focused much of their efforts on adding professional-grade design enhancements, an expansion to interoperability, and improvements to the user-experience. 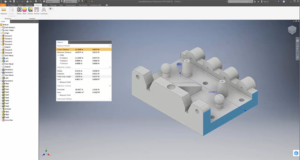 Read about it below or watch as Autodesk Product Manager, Loren Welch, gives a guided tour of the new features and updates in Inventor 2018. 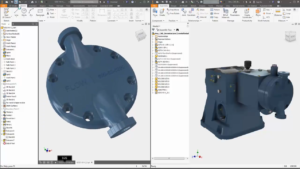 Autodesk Inventor Product Managers have spent a lot of time improving the entire design workflow. My particular favorite enhancement is the addition of Model Based Definition (MBD) and 3D Annotations. Inventor now has integrated GD&T and 3DA so that users can finally include important information in the 3D model space and accelerate traditional 2D drawing production. The best part about it is the fact that Inventor automatically recognizes tolerance features such as holes, and will use the correct GD&T symbol for that particular definition. 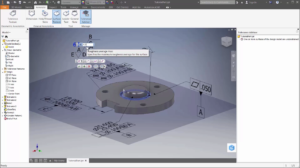 Autodesk has made the difficulty of working with foreign CAD files a thing of the past. 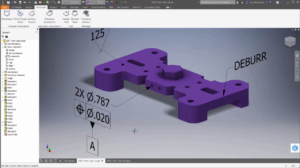 AnyCAD was released in Inventor 2016, and has seen improvements in both of the last two major releases. Inventor 2018 brings in one of the most requested improvements to that workflow – backwards compatibility. You can now work between 2017 & 2018 seamlessly, whereas before your entire team would need to be on the same version of the software to collaborate. This allows early adopters to take advantage of the newest features, while some can remain in the previous release if needed. In addition to AnyCAD improvements, the Inventor team also included enhancements to the Shrinkwrap functionality, specifically improving the flow of BIM content from Inventor, as well as the ability to more easily incorporate DWG underlays into your 3D workflow. The overall user experience has been enhanced for greater productivity and flexibility per feedback from users like yourself from around the world. As a member of the Inventor Beta community, I have seen a lot of these features grow from their infancy. The measure tool has seen some redesigning and the browser has some great features such as improved search functionality that can tell you immediately if files are unresolved or out-of-date. The Product Managers included over 50 user-requested ideas into this release, and they are always looking for new suggestions to fuel upcoming releases. Check out the Inventor Idea Station to make your voice heard. Join the Autodesk Virtual Academy and never stop learning new features introduced to the tools you use most. Hope to see you for Autodesk Virtual Academy in a few weeks where we Loren can show some of these features in action. I’ve never actually seen that particular issue pop up. Has it been the case since the initial installation? If not, I suggest an Inventor Reset to Defaults to try and fix it.